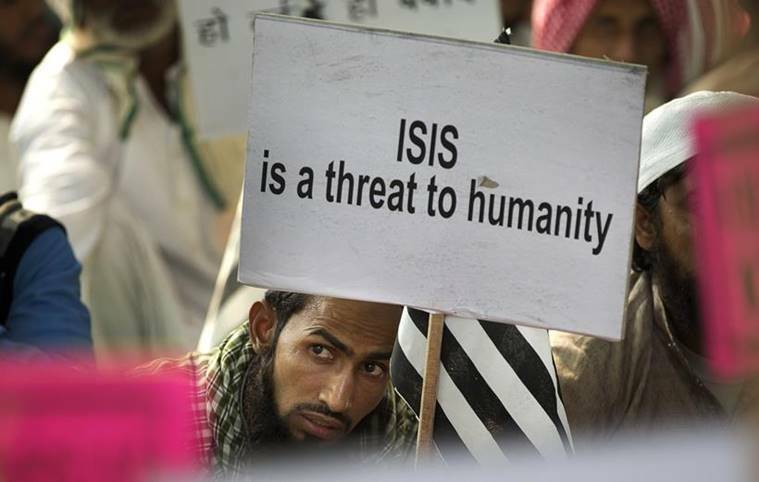 The NIA, sources said, has not found any speech where the cleric is seen urging Indian Muslims to join the Islamic State. The Delhi-based cleric arrested on Friday on the basis of the National Investigation Agency’s (NIA) ‘open FIR’ against the Islamic State had asked Muslim youths in Bijnor, Uttar Pradesh, to stay off Internet only 10 days ago. While Mufti Abdus Sami Qasmi had spoken in support of the erstwhile Islamic Caliphate in Turkey and asked Muslims to go to war when attacked in his fiery speeches, he did not speak openly about the IS per se, The Indian Express has found after going through Qasmi’s speeches over the years. The speeches are on the Internet. The NIA, sources said, has not found any speech where the cleric is seen urging Indian Muslims to join the Islamic State. Qasim, the imam of Delhi’s Usmania Mosque, however, says that it is incumbent upon every Muslim to help establish a Caliphate, among others. Post-arrest, the NIA had claimed that the former student of Darul Uloom Deoband has been “delivering provocative and inflammatory speeches in support of ‘Caliphate’” and “has been instigating youth for anti-national activities”. In his most recent speech, in Bijnor on January 26, Qasmi is heard asking Indian Muslims to keep off the Internet due to its corrupting influence and the fear of American CIA monitoring it. “Do not go on Facebook and Internet — these are CIA tools. They will trap you and then blame you. If you want to learn about religion, read the Holy Quran,” he says in his speech. He is also heard talking in detail about the patriotism of Muslims, their role in the freedom struggle, and their lamentable state now under a “Hindutva government”. Most of his speeches are anti-Semitic and suggest a conspiracy by the Jews and Christians to finish Islam. One radical Islamic blog mentions his name as Mufti Abdus Sami Qasmi Al-Hindi and lists him among 80 clerics across the world who support Islamic State. This, however, could not be independently verified by The Indian Express. The NIA has also said that it has found “suspicious” flow of funds to his madrasa and trust, and is probing whether he received money from abroad. The investigators are yet to find evidence that Qasmi had provided financial assistance to the group of men arrested over alleged IS links recently. According to sources, Qasmi knew most of the members of this new organisation.